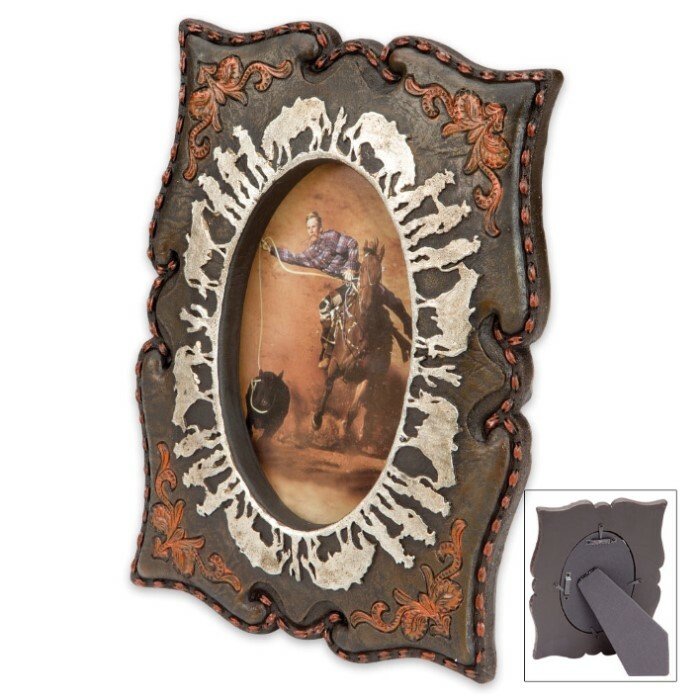 Cowboys and Horses Antiqued Western-Style Picture Frame - Fits 4" x 6" Pictures | BUDK.com - Knives & Swords At The Lowest Prices! Delicately antiqued and exquisitely rustic, this 19th century-style frame enhances any cherished photo or home decor theme with a sense of pastoral grace and country charm. The attention to detail in both design and craftsmanship is nothing short of spectacular, its vintage profile accented with elegant floral patterns and mellowed by stylish, gentle weathering. 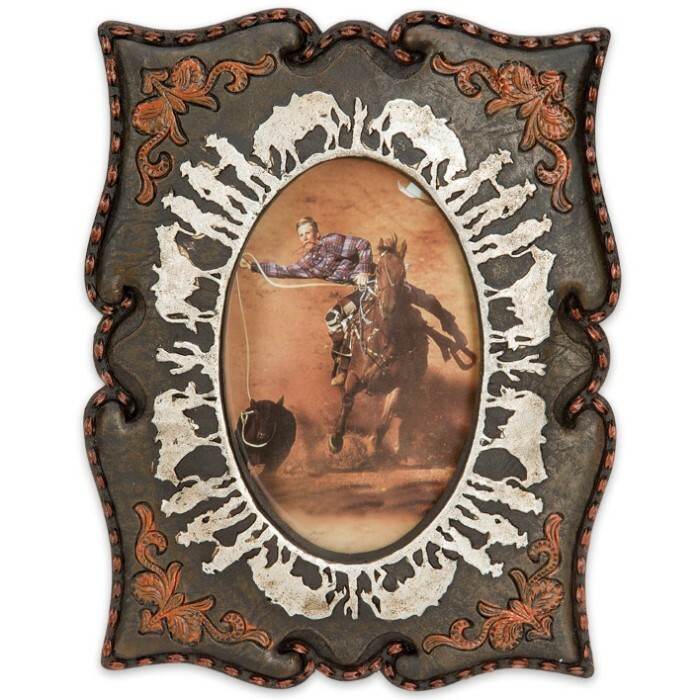 Brilliant silver-colored silhouettes of horses and cowboys encircle the elliptical photo window, beautifully offsetting the frame's majority soft, dusky hues. The oval opening includes a durable, crystal clear acrylic window to protect your treasured photo. 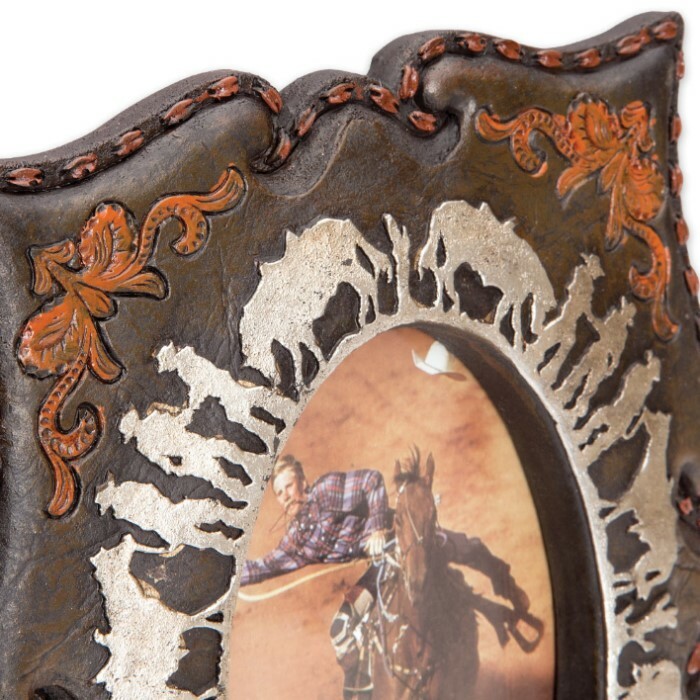 Best of all, you won't pay anything close to antique store prices on this fine Western-themed frame, yet it easily rivals any genuine antique in style and allure.